When I opened the invitation to Kevin’s annual Christmas party this year, there is no doubt in my mind that I did my little happy dance. Not only were they once again putting us up in a fancy hotel, giving away raffle prizes and wining and dining us to our heart’s content, but this year, they were also giving us a chance to show off our creative side. We were invited to a holiday theme party. Gatsby style. I have always wanted to do something Gatsby themed. I love the fashion. I love the book. I love art deco. I love Leonardo DiCaprio. Everything. I was stoked! Before I begin, let’s get something clear. 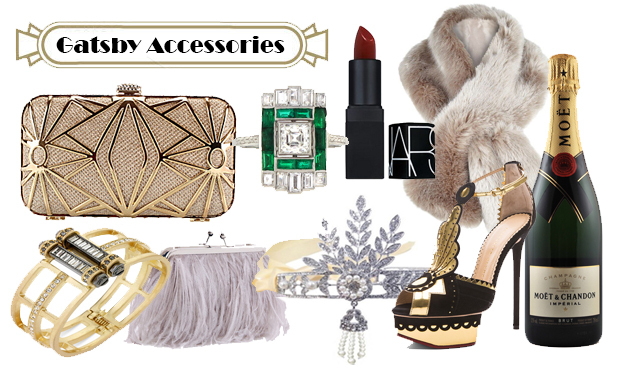 When I say Gatsby themed, I do not mean tommy guns, pin stripes, fringe and fedoras. Gatsby is gold. Gatsby is glitz. Gatsby is spending every dime you have in savings to look better than everyone else at that holiday party! In order to perfect my look, I made myself a list (and Kevin a list!) 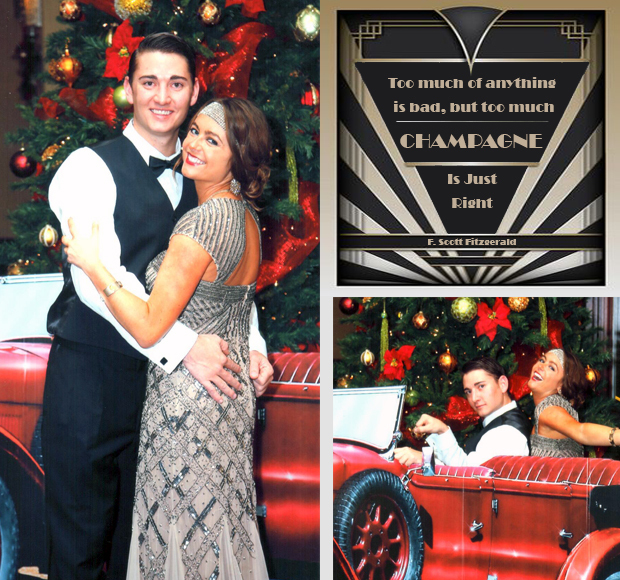 to ensure we had everything needed to be the next Daisy and Gatsby! While looking for the perfect dress, I decided I wanted to do something glamours. I mean, how often does a girl get to wear something as stunning as this? 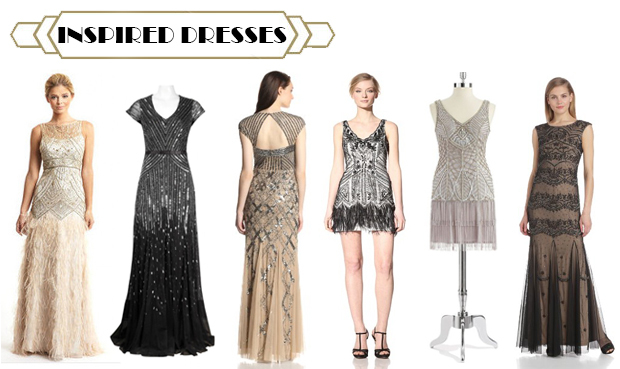 I discovered two designers that absolutely nailed the Gatsby look I was after. Sue Wong and Adrianna Papell are two very talented designers and no matter what dress you choose, you cannot go wrong. Here are some of the contenders. I fell in love with the middle-left and had to have her! Which one would you have gone with? From Left: Sue Wong. Adrianna Papell. Adrianna Papell. Sue Wong. Sue Wong. Adrianna Papell. 1) If you’re looking for a Fur something-or-other, use Ebay. Get over the fact it’s used and just go for it. You won’t find that kind of deal or quality any where else! 2) Go deep red lipstick or go home. I’m not really a lipstick kind-of-girl (never have been) but it really does make you feel glam which is exactly the look you’re going for here. 3) Drink Champagne. I even brought plastic stemmed flutes for our hotel room pre-party! Top, from left: Art Deco Clutch. Cocktail Ring. Nars Lip Stick in Sephora Flame. Fur. Bottom, from left: Kenneth Cole Bracelet. Feather Clutch. Daisy Headband. Art Deco Heels. Champs! So if you have the chance to go to a Gatsby party or are thinking of throwing one yourself, PLEASE DO! It was one of the most fun and elegant themed parties I have ever been to and would jump at the chance to do it again! « These Are a Few of My FAVORITE Things!